Hello! 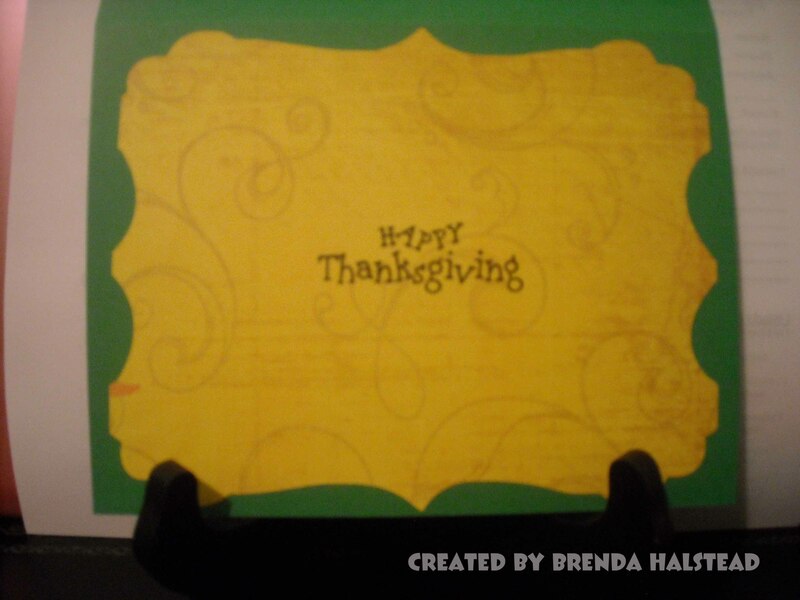 Brenda here from Random Thoughts of a Scrapbooker with a Thanksgiving card to share. 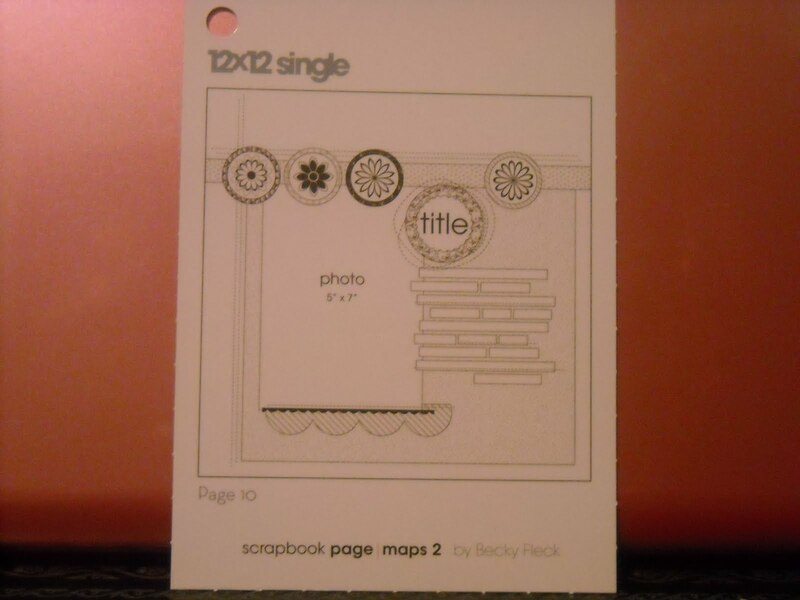 I used my Cricut Expression 2 Anniversary Edition and Gypsy to make the cuts. 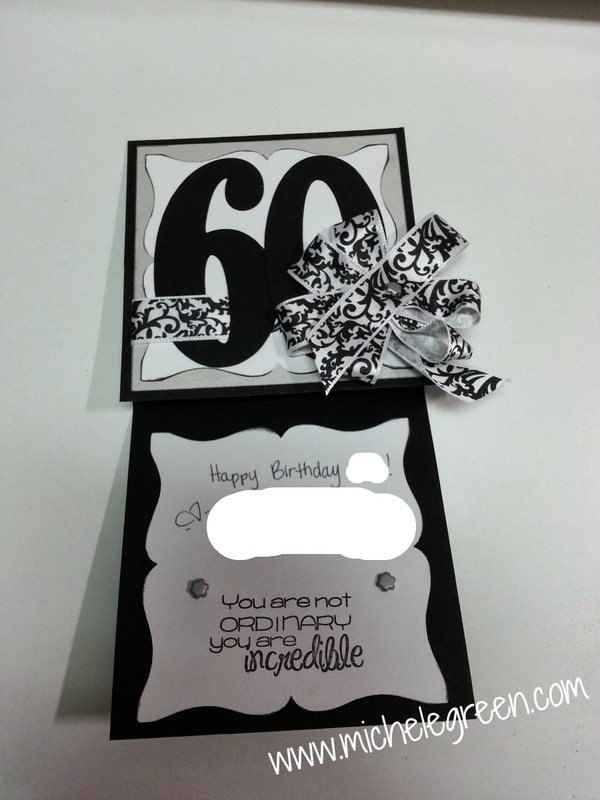 The base of the card is from a pack of Recollections 8 1/2 x 11 cardstock and all other cardstock is Bazzill. The patterned paper backgrounds on the outside and inside are from the Creative Memories Primary Autumn Additions Power Palette. The sentiment is from the Holiday Headlines Wood Stamps set by The Paper Studio. 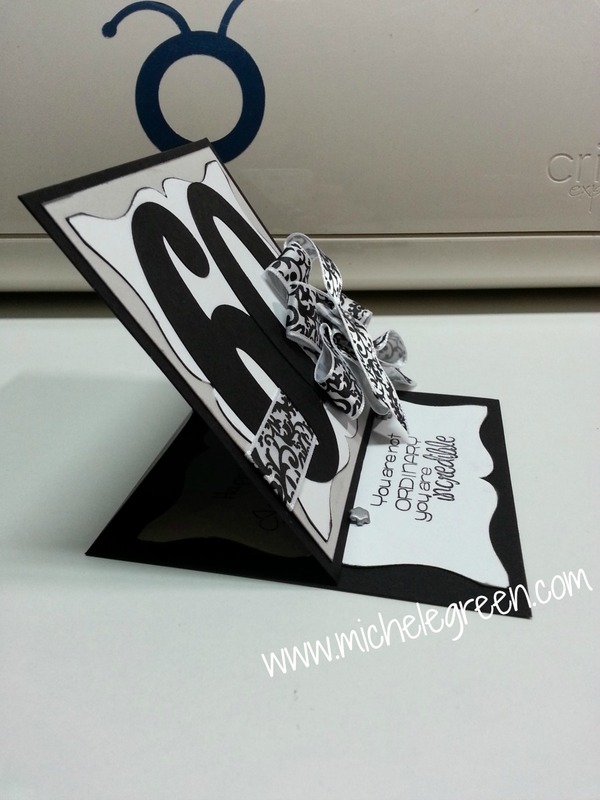 I used Elegant Edges for the background on the outside and inside of the card. 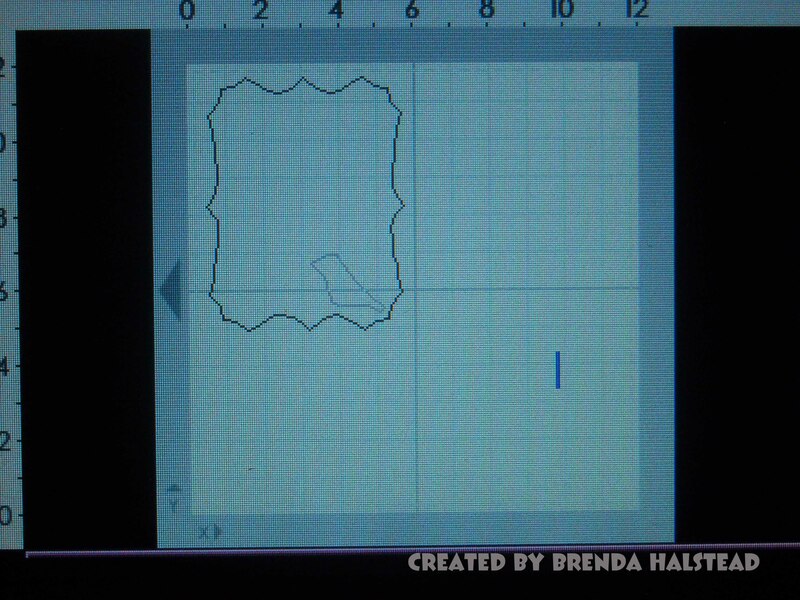 I used the Oblong feature and cut it at a 6 3/4″. I also used Hide & Contour so the bird would not cut. Here is a picture of my Gypsy screen. Thanks for stopping by! Happy Thanksgiving to everyone! Here is a project that I did on request. 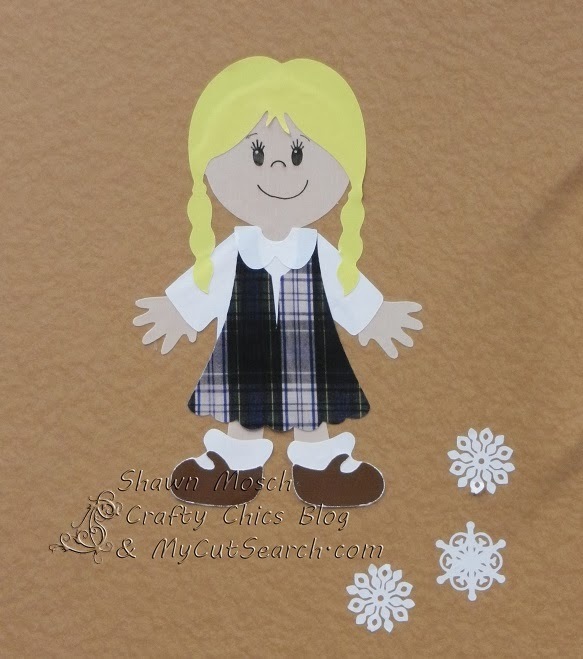 I used several cuts from the Paper Doll Dress Up Cricut cartrdige. 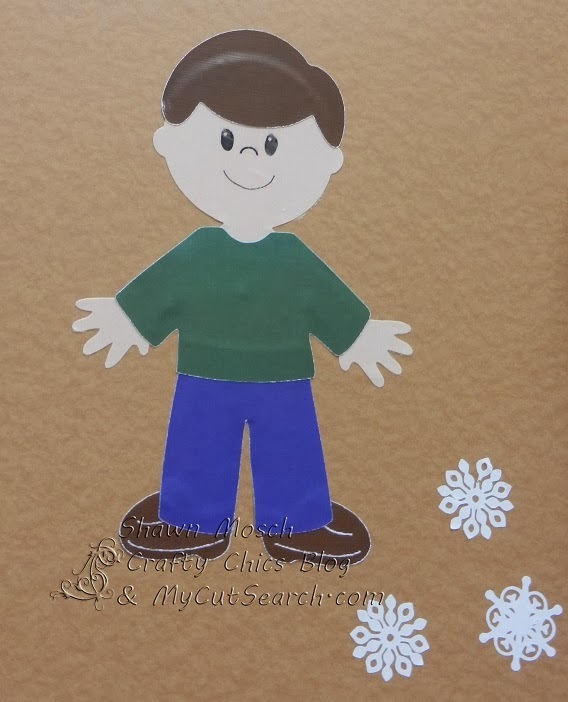 My mother works for a school, and she had seen the paper dolls that I created for my niece. If you want to see that project you can go HERE. Well, I also made a boy and girl to hand in the office of the school my mother works at. They have snowflakes, leaves, flowers and hearts that she puts around them and changes out with the seasons. 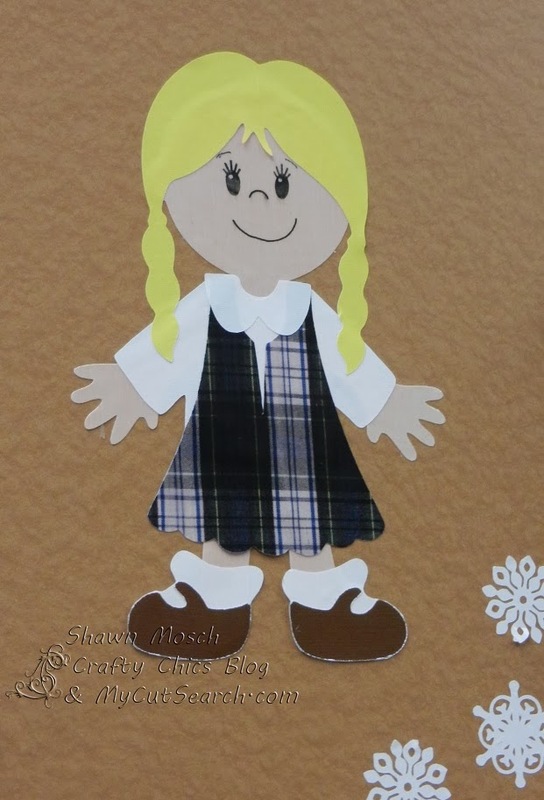 Since the children at this school wear uniforms, I thought it would be cute to put the paper dolls in the school uniforms too! This was a lot easier to do with the boy, since he just needed to be wearing solid colored blue and green clothes, but I had to be more creative on the girl’s uniform. I was able to borrow a used uniform and bring it home to scan in my printer/scanner. Once I had the image scanned, I just printed out on my printable adhesive backed fabric. Then I used my Cricut Paper Doll Dress Up cartridge to cut a dress. I had to “modify” the neckline by hand to make it match the style of the school uniform. I also made an elf and Santa outfit for these two, so that they could dress them up for the holidays. 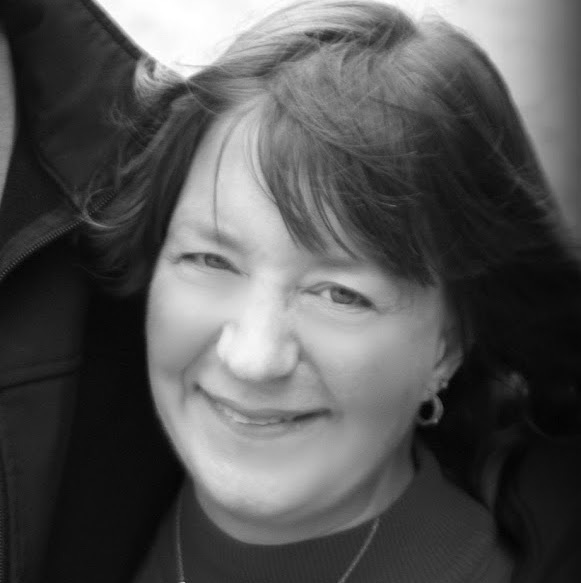 Shawn is the mother of the family that created MyCutSearch.com, a searchable database of images found on Cricut cartridges which in my opinion makes her one of the biggest celebrities in the Cricut community there is. If you don’t already use her families site you absolutely must go check it out and you will never again be searching through handbook after handbook manually again. 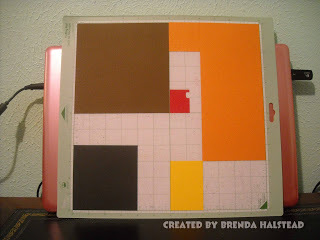 Shawn also has her own personal crafting blog at CraftyChicsBlog that you should go over and leave her a little love. Hi! My name is Shawn, and I have been crafting for as long as I can remember. When I was younger, sewing was my main craft. I have made everything from doll clothes to my own wedding dress. 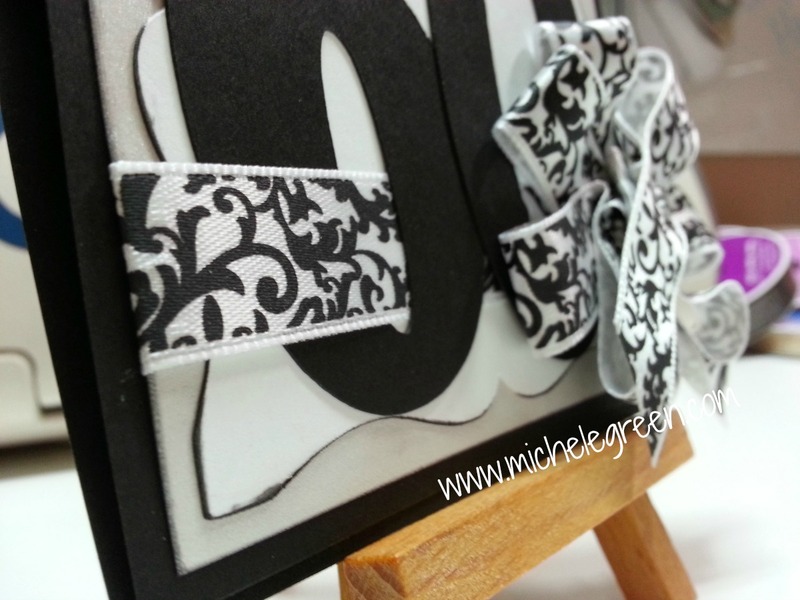 I love the feeling of accomplishment you get when you can turn a pile of supplies into a finished project. I did not do much paper crafting until I was in my mid-30′s, and my first project was a scrapbook for a trip our family took to Walt Disney World. After that I was hooked! 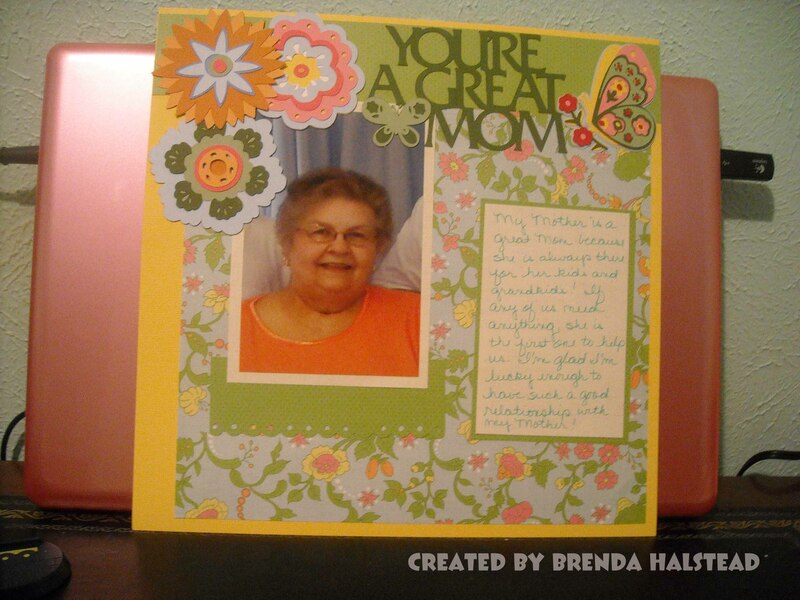 Now scrapbooking and card making are my two main crafts. 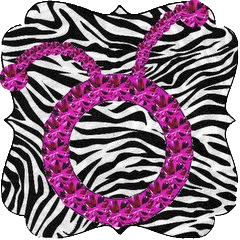 Would you like to be the next new CricutDIVA? We’d love to see you apply to join our design team. Hi! 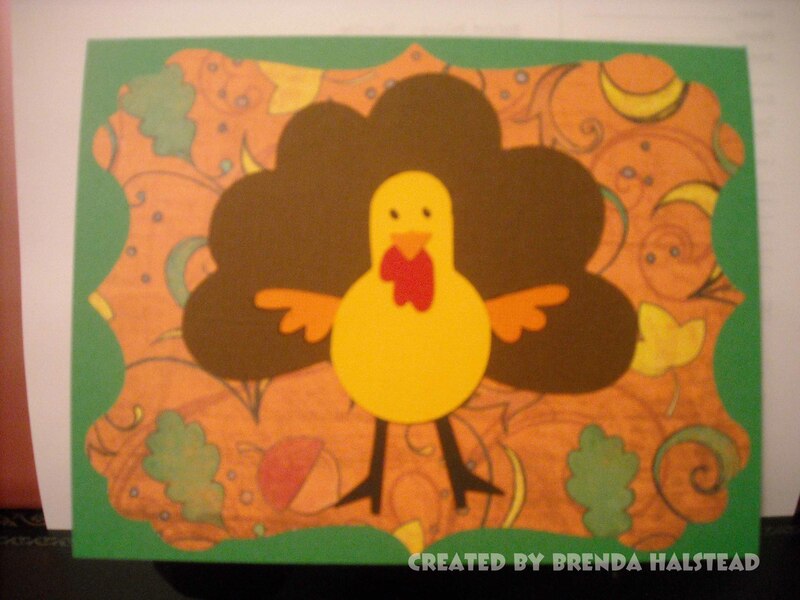 Brenda from Random Thoughts of a Scrapbooker here with a Thanksgiving card I made at a crop this weeked. This is an A2 size card (5 1/2 x 4 1/4″). 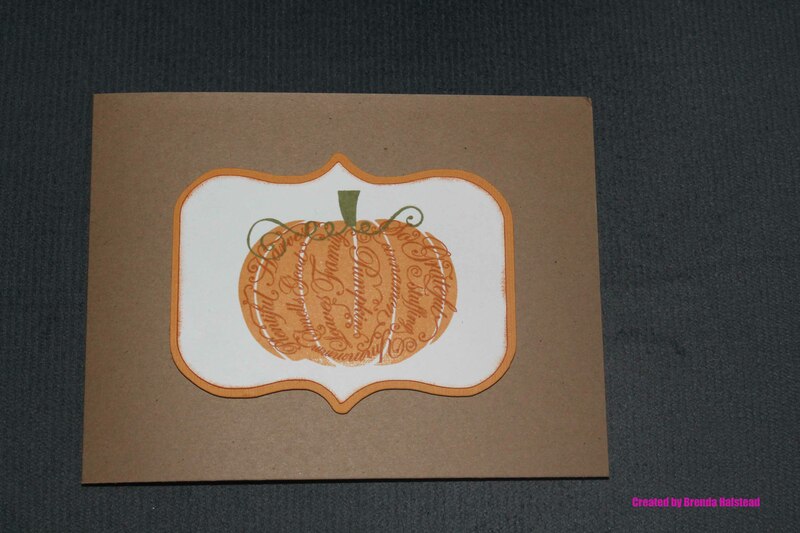 I used kraft colored Recollections cardstock for the base of the card, gold Bazzill cardstock for the bottom layer of the mat on the front and inside layer and white Recollections cardstock for the top layer of the mat on the front and inside of the card. 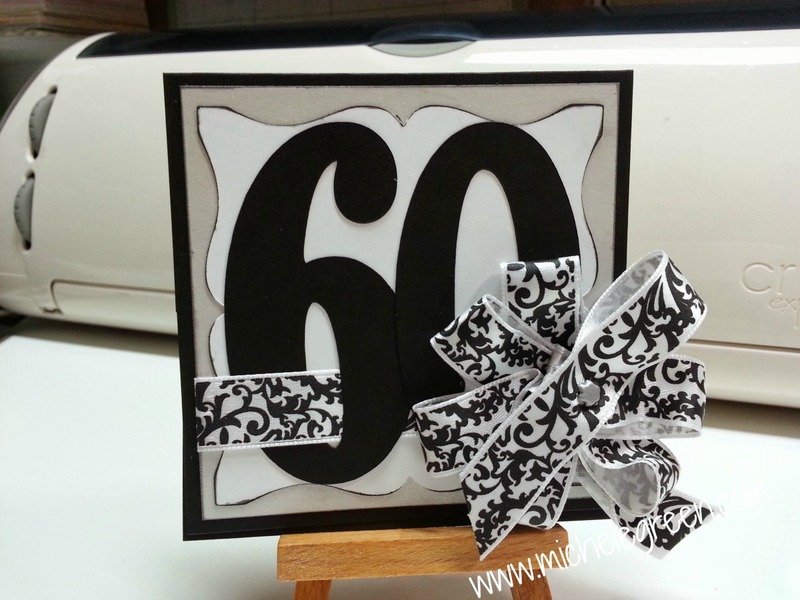 I used the Elegant Edges Cricut cartridge to cut the mat at 4″ on the front of the card. 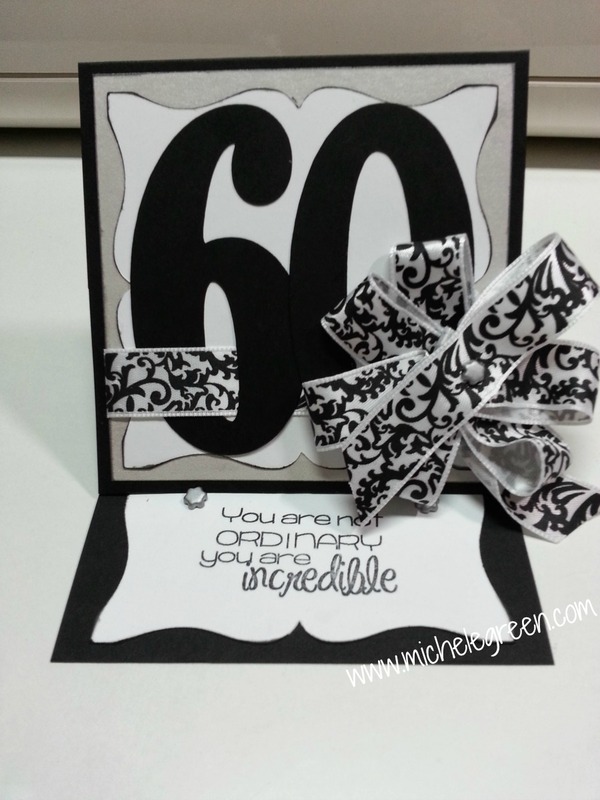 I used Close To My Heart stamp sets to stamp the images on the front and inside of the card.